Paula Fredriksen is the Aurelio Professor of Scripture emerita at Boston University and Distinguished Visiting Professor of Comparative Religion at the Hebrew University, Jerusalem. 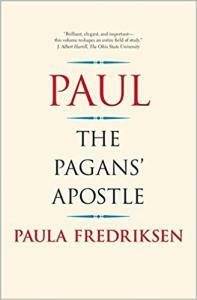 A graduate of Wellesley College (1973), Oxford University (1974) and Princeton University (1979), she has published widely on the social and intellectual history of ancient Christianity, and on pagan-Jewish-Christian relations in the Graeco-Roman world. The author of Augustine on Romans (Scholars Press 1982) and the award-winning From Jesus to Christ (Yale Governors’ Award for Best Book, 1988; 2000), she has also published Jesus of Nazareth, King of the Jews (Knopf 1999), which won a 1999 National Jewish Book Award. Together with Adele Reinhartz, she contributed to and edited Jesus, Judaism, and Christian Anti-Judaism: Reading the New Testament after the Holocaust(Westminster/John Knox 2002), and has also edited and contributed to a collection of essays about Mel Gibson’s controversial film, On ‘The Passion of the Christ’ (University of California Press 2005). 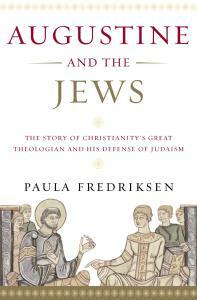 InAugustine and the Jews: A Christian Defense of Jews and Judaism (Doubleday 2008; Yale 2010), Fredriksen traced the development of Christian anti-Judaism and explored Augustine’s singular response to it. Her most recent work investigates the ways that ideas about God, humanity, and the world shift and grow during the charged period between Jesus and Augustine in Sin: The Early History of an Idea (Princeton 2012).